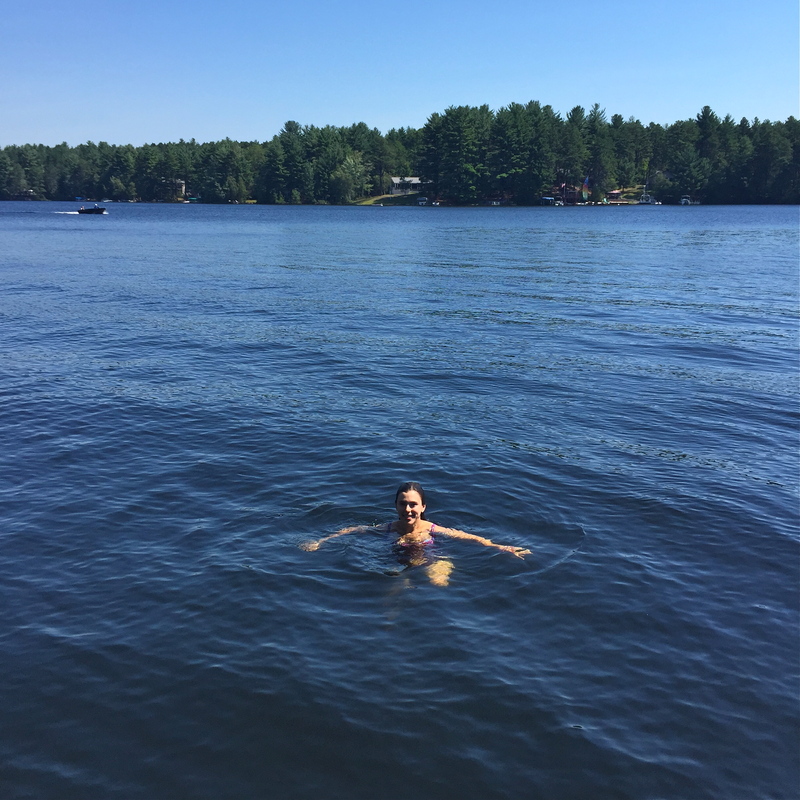 Last weekend, I took a quick trip to New Hampshire and hung out at the quiet Pine River Pond, which is actually a lake. Food always tastes better when its cooked out in a little nature cabin, am I right? There was homemade lobster for dinner (my first time! ), which my friends brought down from Stonington, Maine. The lobster experience was very memorable. Smelly, delicious, and laughable. With lots of lemon butter to go around. Sides for dinner: boiled corn and potatoes and a hearty green salad. 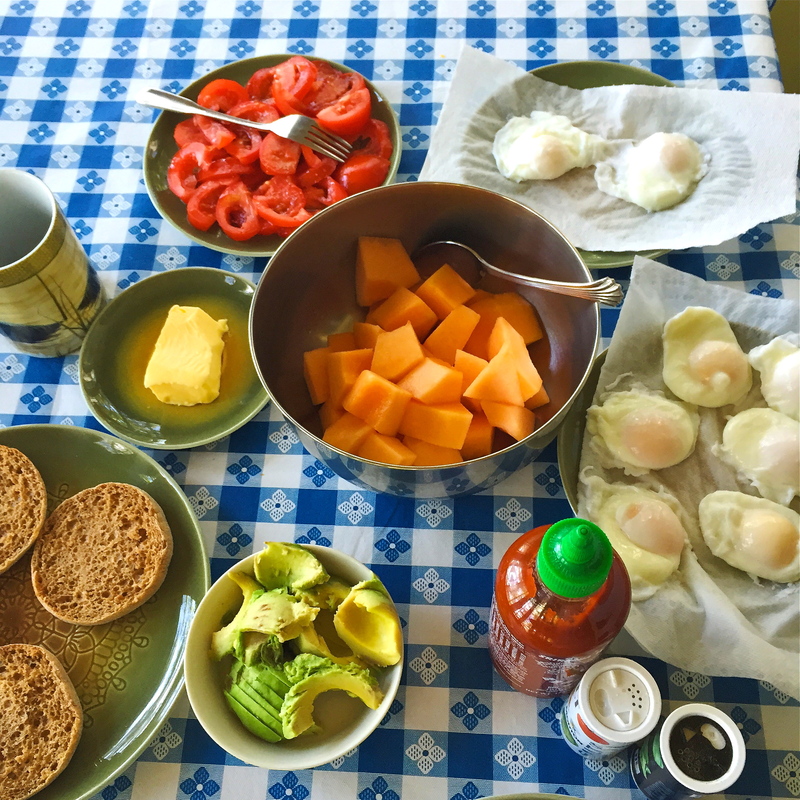 This poached egg and melon breakfast was fuel for our hike. Poaching eggs is a real blast, especially with fixings like butter, tomato, hot sauce, and avocado. Made it to the top with a great view of Lake Winnipesaukee. More food. Loaded quesadillas with peppers, corn, zucchini, and black beans. With a grapefruit-fennel-avocado-arugula salad and a spring mix-carrot-goat cheese-cucumber salad. See ya next time, Pine River Pond!